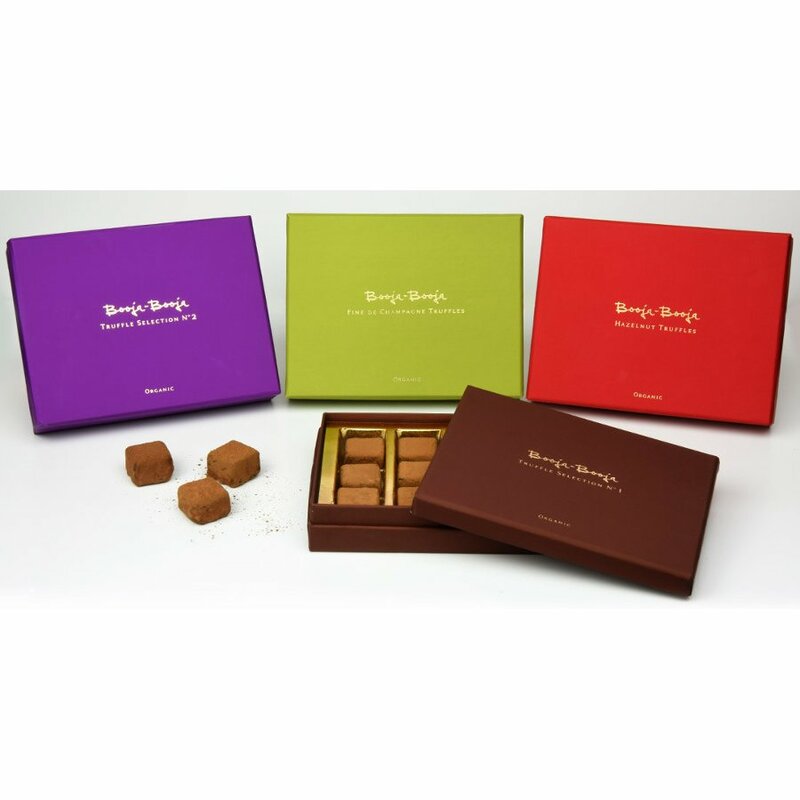 Luxurious award winning truffles made with a luxurious Fine de Champagne ganache encased in organic chocolate from the Dominican Republic. 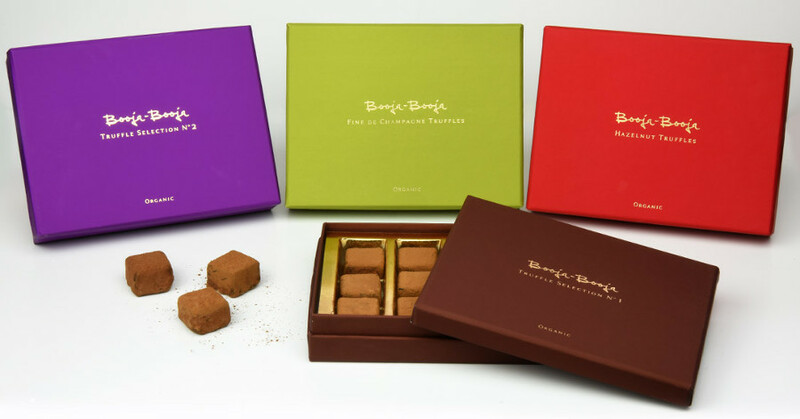 Booja Booja truffles are certified organic by the Soil Association and made without gluten, dairy or GM ingredients for an indulgent treat everyone can enjoy. Store in a cool place or in the fridge. Enjoy at room temperature. 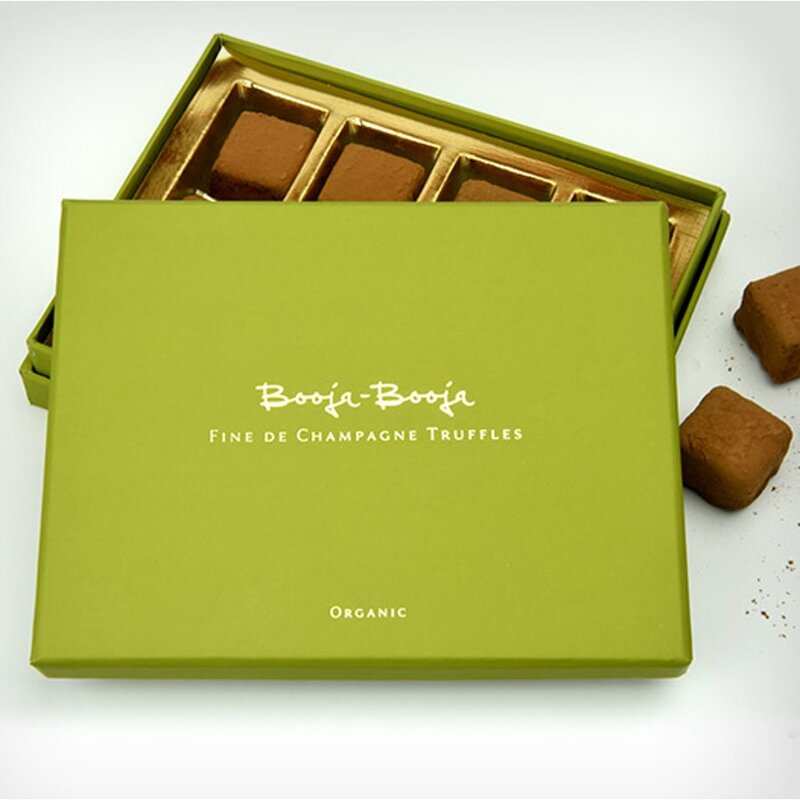 There are currently no questions to display about Booja Booja Fine De Champagne Truffles Gift Collection - 138g.